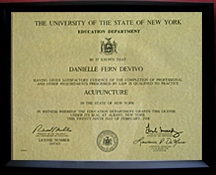 Danielle DeVivo, L.Ac., is a Board Certified and Licensed Acupuncturist in Saratoga Springs, NY. When I had acupuncture for the first time I was blown away by how well it worked. I had to find out what this secret of Chinese Medicine was. 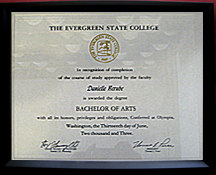 After finishing pre-med at The Evergreen State College, I attended The Oregon College of Oriental Medicine in Portland, Oregon. 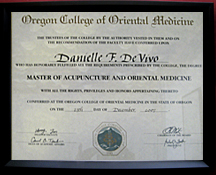 After all these years of study I know acupuncture is no secret, nor is it any type of belief system. It is a rational and systematic form of medicine that is natural, effective, safe and drug free – and has been around for more than 3,000 years. In my humble opinion, acupuncture and herbal medicine makes more sense than anything else in many cases. Not all cases of course, but using it to complement Western medicine is always the way I view treatment. 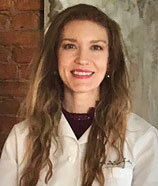 I have treated patients in a variety of settings including a university hospital, public health forums, and private clinics. Today I am honored to have this valuable knowledge that I can share with you to help you in your healing process. If you’re concerned about the dangerous side effects of prescription drugs and you’re looking for a natural alternative, please download the coupon for a FREE Initial Acupuncture Exam and bring it with you on your first visit. This is a risk-free opportunity for you to see if acupuncture is right for you. There is no obligation to stay for treatment so you have nothing to lose. If you have any questions or need additional information please feel free to call me (518) 248-1540.